This record is a bombshell! I first heard the track "Deviant" on a mix CD called London Acid City. It instantly attracted me with a really spacious future Tech/Trance sound. I know that sounds odd, but Spiegel always did have his own sound. Anyway, this track sounds unlike most, and has some great sweeps and builds that mix really well with other records. 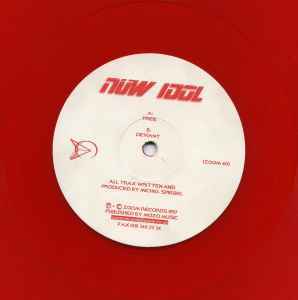 Now, the flip is an example of Nuw Idol's future Acid Trance sound. It's tough to describe this, as it manages to sound sad, filthy, techy, acidic, and epic all at once. Pretty tweaky leads, but not really the cliched 303 sound so many relied on. Buy this record and many of his other early works. I think this may be the last one before he went for a more clubby sound.